Last year I had the adventure of building a new home for my family. 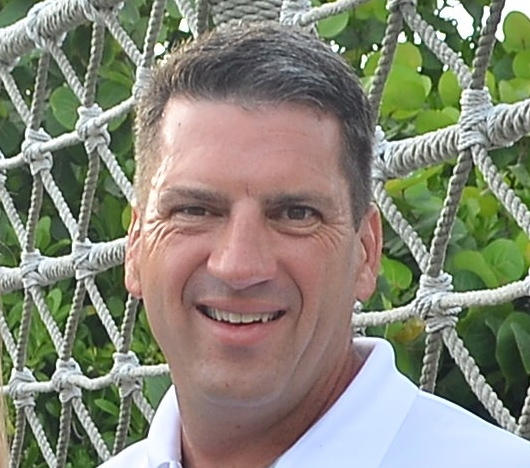 I used Wayne Atkins of SterlingBrooks Custom Homes. Wayne and I have been friends for a long time and he “gets it” when it comes to building a high performance, extremely well built home. We decided to build a full foam encapsulated home with a non-vented attic. We used 6” of open cell foam on the bottom of the roof deck, sealed the attic and spray foamed all the exterior walls. Basically we built a giant Styrofoam box that was practically airtight. However, what we really wanted was a giant Styrofoam box wrapped with foil. Foam is great for slowing conductive heat, but in a hot Texas summer we really needed to put the home in the shade (shade from the radiant heat, not the light) – we NEEDED a RADIANT BARRIER! Double-Deck Roof System - Two decks with two layers of radiant barrier make a ventilated skin over full foam sealed attic. Since the foil radiant barrier is the first line of defense against radiant heat and the foam is the 2nd line of defense against conductive heat, combining the two would result in the ultimate reduction of heat flow. The challenge with a spray-foam enclosed attic/roof is that you cannot typically have a radiant barrier because of the lack of a proper air gap. The shingles are connected to the roof deck, and the deck is connected to foam. Some heat will still flow by conduction through the roof/foam assembly. With this type of assembly there is no air space for the heat energy to jump and be converted to radiant heat. 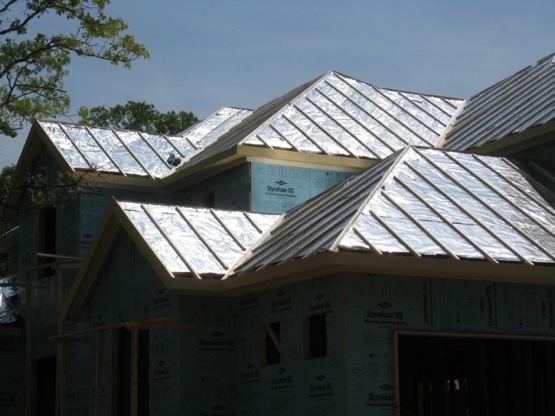 You CANNOT just put foil under shingles on a typical roof and have a radiant barrier. You MUST have an air space on ONE side of the foil. Radiant heat by definition is heat transfer by non-contact across an air space. Without an air space you cannot have radiant heat and without radiant heat you cannot have (or install) a radiant barrier. Once you can convert heat to its radiant form you OWN IT! Conductive heat can only be slowed down, but radiant heat can be REFLECTED. So how can you incorporate an air space and a layer of foil into a roofing system? View of how the bottom deck is pulled up to allow air from the continuous soffit vents to enter and a flow between the two decks. The options are limited. Metal, tile, concrete or other raised- type roofs will work and you can install a radiant barrier on top of the roof deck below the raised roof. The problem is that these type roof systems typically run $4-$5 per square ft. where a traditional shingle roof will run about $2-$3 per square ft. I decided to get creative and build a double-deck roofing system. This system provides the best of both worlds: we get the radiant barrier and we get it at a reasonable cost. This is how we did it: first we installed the first (bottom) deck. We stopped it about 10” from the fascia board. This gap allows air to come from the continuous soffit vents and from behind the brick into the soffit cavity and then flow up between the two roof decks. 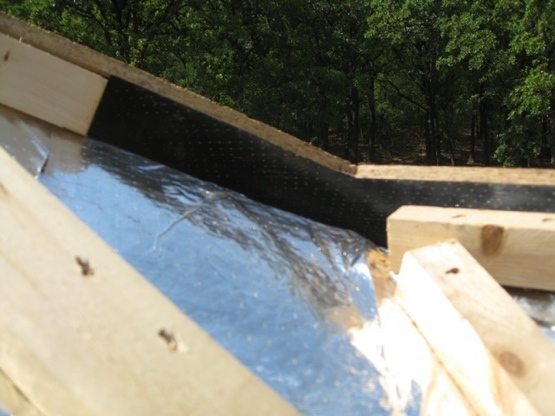 Then, we installed AtticFoil® Radiant Barrier Foil directly over the roof deck. You can use either the double-sided radiant barrier 48” product or a single-sided 60” radiant barrier product (the foil side MUST be facing up, toward the sky). Furring strips installed over AtticFoil layer before top deck is installed. NOTE: We used a felt marker to mark where the rafters were on the foil. Without the marks on the foil it would have been hard to find each rafter for the next step. Next we installed furring strips. We used 2×2’s, but you could use 1×2’s if you want. You will want at least a ¾” gap or better between the two decks. We were careful to leave gaps at the tops and bottoms of all hips to allow air to flow freely from the soffits to the peaks. Then we then installed a foil-backed roofing deck material called TechShield on top of the furring strips. This was our “normal” deck that we tied into the fascia boards and then installed traditional roofing felt and shingles. Furring strips installed over AtticFoil and top deck installed using TechShield with foil facing down. Ventilation note: Since the airspace between the two roof decks was only 1 ½” we did not need a whole bunch of ventilation. For every 1,000 square feet of roof deck, there is only about 125 cubic feet of space between the two roof decks. The roof was a hip style roof with a limited amount of ridge, so a ridge vent was not an option. I like 14” wind turbines. They work well, are cost effective and easy to install. When you combine the draw caused by the Bernoulli effect of the wind turbines with the natural stack effect of the air rising (or being pushed up by the cool air) the air between the two roof decks is easily being changed several times per minute. This airflow has a cooling and drying effect on both decks. View of hip/ridge connection. Furring strips are not fully connected to allow air to flow freely from the soffit vents to the peaks. Nothing short of amazing!! We were under construction during the brutal heat wave of the summer of 2011. Example: On one hot-sunny day (about 100ºF) the top surface temperature of the shingles was close to 180ºF (using an IR thermometer to measure). The BOTTOM surface temperature of the lower deck was 110ºF. ONLY a 10º INCREASE!! Virtually NO heat was making it through the system. In fact, the construction workers would usually eat lunch INSIDE the home since it was relatively so comfortable. By forcing the heat to JUMP the airspace between the two decks we OWNED the radiant heat. The top deck with the foil on the bottom worked off the EMISSIVITY quality of foil radiant barrier (the ability NOT to convert energy to radiant heat) and the AtticFoil® installed below the airspace on top of the bottom decked worked off the REFLECTIVITY quality to reflect the radiant heat. I would speculate that the nominal 10º temperature increase in the bottom deck was mostly caused by thermal bypass through the furring strips. Even with the double-deck system, you still will have some conduction though the assembly where there is no air gap. If you are building a home with a large roof surface area, or want to use dark shingles, please consider this system to incorporate a radiant barrier with a foam encapsulated attic. The upfront cost is a little more, but you will recoup the cost in additional energy savings and in being able to further downsize the size of the heating/cooling system during construction. I did pretty much the same thing here in Dallas, but to an existing home, making the process MUCH longer and more labor-intensive. My 1950-built home has a 5:12 pitch roof, with 2×6 rafters, and the main roof is gabled at both ends. They re-roofed when we first bought the house, with new sheathing, and I had them install light-colored shingles, Solar Board (rb on the bottom of osb), and continuous ridge vents. For my insulation system, I cut 1/2″ foil faced polyiso board to go between the rafters, foil face up, with 1″ spacers (blocks of foam) to create the air gap below the deck, and fixed the foam board in place with a “bead” of PU gun foam, creating a seal against the rafter sides at the same time. Then I put another layer of foam board on the bottom of the rafters, and stuffed the 4″ deep space with fiberglass (compressing fiberglass yields a higher r-value, about 4, PER INCH). Then I sprayed 1.54″ of 2 pcf E84 PU foam on the underside. There was a lot more work at the base, to allow air from the continuous soffit vents to reach the rafter bays in the 4 valleys. The system works VERY well, but it was too much work to recommend it. My recommendation would be a roof like yours (similar details can be found at the ORNL website) on either a new house, or one that is being re-roofed with new sheathing. I just didn’t have that option. Would there be any moisture problem in the attic due to it being no ventilation? If it is air tight, then there should not be any air leaking to create moisture. Moisture is created relatively warm-moist air comes in contact with a colder surface. The first, and best, method is to SEAL up all the holes in your ceiling. Sealing up leaky holes reduces the amount of air leaking out of your home, and ultimately reduces your energy costs. For more information, check out this article on moisture and radiant barrier. Why did you use the TechShield decking? Correct me if I’m wrong, but TechShield should be installed with their foil side down, so that puts their radiant barrier pointing directly at your AtticFoil, right? For summer months, I would expect you to want the decking to absorb the heat being reflected by your AtticFoil radiant barrier, so doesn’t the use of the TechShield simply negate some of the AtticFoil benefits in the summer? Given that the TechShield foil points down, isn’t that primarily a benefit to keeping radiant energy in the house, perhaps during winter months? What am I missing? If you assume a radiant barrier needs an air gap, I don’t understand how or when the TechShield product ever provides benefits in the summer months, given that their foil side is installed facing down. It is all about layers. The different layers act as filters to reduce energy coming through the roof system. The Techshield foil does face down towards the AtticFoil. The Techshield works off the EMISSIVITY quality of the foil. Basically the roof is getting hot and the foil layer on the bottom causes the heat to be disproportionately rejected upward rather then bot upward and downward. This is the first “filter”. Now, what energy that does make it through the top deck and gets converted to radiant heat MUST cross the air space. There is is REFLECTED back upward by the rolled out AtticFoil, keeping the 2nd deck cooler. Did you read my article on TechShield Compared To AtticFoil Radiant Barrier I think this will help explain emissivity compared to reflectivity. OK, I get the concept of emissivity and how the TechShield prevents some heat from getting through the top roof deck. Having said that, I believe the TechShield product ALSO reflects radiant heat on the side of their foil. Ironically enough, their own YouTube video (http://www.lpcorp.com/LP_Produ....._Barrier_/) about the product shows the foil facing the light bulb, which seems rather misleading. Anyway, once the AtticFoil reflects the radiant energy back up, the TechShield would seem to be simultaneously reflecting it back down. That would seem to negate some of the benefit of the AtticFoil, right? Does the air in the gap just capture more of the radiated heat, since both the TechShield and the AtticFoil reflect the radiant heat in that gap? Great question. The thing to remember is that heat always moves from hot to cold. I tend to think of the layers of foil as “filters”. The first layer on the TechShield is the first filter that reduces the amount of radiant energy to pass. Then, the second layer of foil (AtticFoil rolled out) in this case acts as a second filter which is really only working on the heat that got through the first filter. Yes, it will reflect it back upward, and in theory it could bounce back and forth until it dissipates the energy. But the main thing to consider is that by having the two layers of foil we keep the spot just below the second layer of foil (our bottom roof deck) cooler than if we had just one layer. You could go have many layer and each one would continue to act as a filter on whatever made it past the previous layer. In reality, the law of diminishing returns kicks in and two layers is all you can get in both economically or mechanically. What about just putting perpindicular furingstrips ontop of first strips no second sheeting layer then metel roofing ??? Would that get similar effect ? Not as hot here in south Carolina. For metal roofing, using a double furring system would work fine. Or you could use a single layer of furring strips. I tried to make the point that this is a cost effective method to still use a shingle-type roof and get a radiant barrier with a full foam encapsulated attic. My plan is to strip shingles felt w/ 30lb or ice / water install 4x8sheets foam with reflective barrier then 2×4 furring strips screwed thu to rafters perpendicular strips then metal roof w/ ridge vent ….. What are your thoughts ????? Would it create condensation problems or not be effective ?? Really like your idea ! If the roof in ventilated then adding the foam board under the furring strips won’t help too much more than just a layer of radiant barrier. Also, I would be cautious of putting foam board as the top layer under the furring strips. Generally foam board is not dense enough to handle foot traffic on the roof. I would keep it simple and add the ice/water shield, then AtticFoil Radiant Barrier, then furring strips just like this video of How To Install Radiant Barrier Under Tile or Metal Roofs. I am the company that will apply a metal roof to a 2/12 monoslope roof on a earth berm home in central Kansas. I am planning on using Tech shield with the foil side up over the trussed rafters. Than 2×2 furring strips directly over the tech shield and above the trusses. 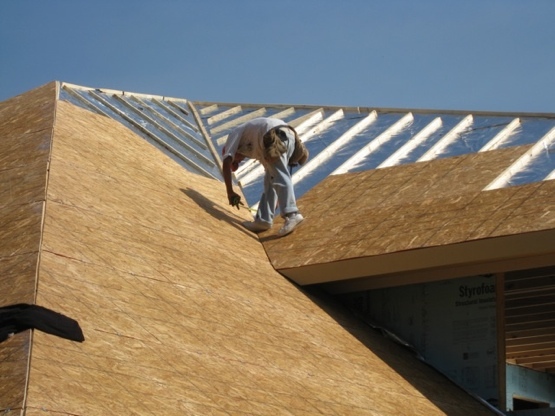 I was planning on placing 5/8″ OSB over the 2×2’s, than roofing underlayment, than 26 ga. galvalume roofing over that. How important in two layers of reflective barrier? Should I rather us Tech shield on both layers with foil facing each other?? Jay, Thanks for the question. I think considering the relatively small additional cost to go TechShield over regular OSB for your second layer is worth it. The top layer will work off the emissivity quality and help keep heat from ever entering the air space. Then, the second layer will finish the job. The same for heat loss in the winter. Is the payback period worth the extra cost for a double roof vs a single roof without the furring strips and the reflective material facing down tword the attic. This may be a silly question ,from someone who is not versed in thermodynamics,I’m just lookling for the least heat transfer at the lowest cost and shortest breakeven. This is tough question. There are so many variables to consider. If your are in Texas then it is better money spent than if you live in Nebraska. I would say you would only do the double deck with furring strips if you are going for foam closed attic. Otherwise, in a vented attic, you are probably better off with a single layer or drooping the foil down and then using a radiant barrier decking on top to produce a double layer but not double deck. We’re currently in the process of planning a new roof. We currently have dark laminate shingles and lots of attic space. I’ve been looking for a solution to using a flat metal shingle that is dark / charcoal and still using a radiant barrier – since we are in the LA Area. Because the shingle we want is not raised, we can’t use battens. So the only other option would be be do a double deck. If we put the shingle directly on the current deck, we’d have to figure out a full venting strategy for the attic because right now it only has 2 gable vents, no soffits and no ridge vents. And if we vent the Attic we cannot convert it later since the metal roof needs adequate ventilation. So again, the double deck seems like the best option. We’re looking to do something similar to your install, using SharkSkin as the underlayment and radiant barrier, then the batten layer, and then TechShield for the 2nd deck. Any idea if the TechShield possibly presents an issue with a metal shingle roof? Would it prevent any airflow and thus cause any condensation under the metal possibly? Or should the “VaporVents” not allow that problem? I’m also slightly concerned about the additional weight the OSB will add, especially since the metal is so light. From my calculations the metal, OSB, and solar will probably be about 4 tons more than the current shingle roof we have. Our roofing company is currently looking into the most aesthetically pleasing way to vent the space between the decks. They said something about continuing the 2nd deck layer down so it’s even with the existing roof height, but it sticks out a bit further, and then putting a continuous vent pointing down to fill in the gap between the 2nd layer of decking and the old layer. We’ll see how this looks. The only other thing they could do would be to remove the Fascia and then extend the rafters out a bit and re-attach the fascia. I’m assuming this would be very labor intensive, though it would probably look the best. Anyhow, thanks for the article, any ideas / input you’d have would be great. 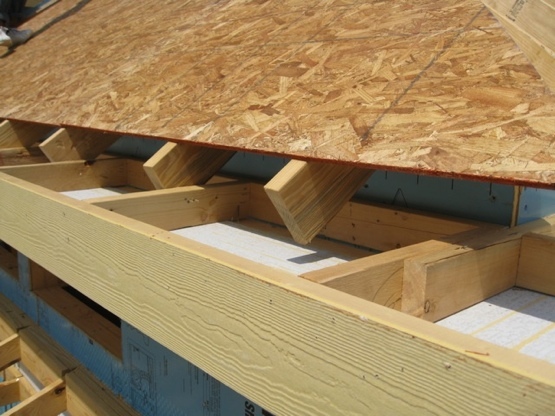 To help with venting the roof, you can stagger the battens and cut notches in them to allow the air to have a path to travel; you don’t need that much to handle the residual moisture. Is the roof manufacturer specifically stating you can’t use the battens? I ask because this is the most common method to use and it works great for adding the radiant barrier into the layering. As far as the added weight of the double deck – it seems a tad excessive. Have you had an engineer give you an opinion on the assembly? Yes, the roof manufacturer is specifically stating that this specific flat metal shingle is for direct-to-deck only. There is an ICC Evaluation on their site as well, for this shingle that states it must be installed direct-to-deck. The roofing / solar company said that per code a double deck would trigger an engineering report and so we’re going to have someone check the house for any possible weight issues etc. Are you suggesting that the double deck is a tad excessive? or the additional weight? The additional 4 ton number I listed above is from my own calculations: 40 square roof, Metal Shingle is 112 lbs per square (1.12 lbs psf), 5/8″ OSB Board is 210 lbs per square (2.1 lbs psf), and Solar will be a total of 820 lbs. And I estimated that our current Laminate Shingle Roof is 200 – 250 lbs per square so currently total weight on roof 8 – 10 tons. Add the new metal, OSB and Solar and we’re at about 13,700 lbs total weight. Again, we have a large attic and would love to convert it someday. Not to mention, we have cathedral ceilings, just under 1/2 of the interior is cathedral inside, the rest is attic. I’m pretty sure that the cathedral sections are insulated, but in general I feel like we NEED to do battens or a double deck since we are using a dark shingle, and would like to convert the attic at some point – thus venting the attic would not be an option and therefore we’d not be able to use metal. I just don’t want to use asphalt because I don’t want to have to replace / repair the roof anytime in the near future. Just stumbled across your site and have found it highly informative and interesting. We’re in the middle of a remodel​ job for our home here in Hawaii, and want to devise the best possible radiant barrier for the roof of our open-beam ceiling home. Since there is no attic, I wonder what you might think about a variation on your double-deck approach using the combination of AtticFoil over the existing decking and TechShield as the raised second deck. However, instead of leaving the airspace between the two decks, what about installing rigid foam insulation between the furring strips? Do you see any advantages or disadvantages to such an approach compared to what you recommended? The main disadvantage is that the configuration you proposed will not work. If you foam the space between the two foil surfaces, you eliminate the air gap that’s crucial to allowing the foil to work. No air gap = no radiant heat = radiant barrier is ineffective/useless. You have to maintain the air gap on at least one side of the foil in order for it to work. I have a 4,000 sq foot house with a metal roof. The decking has foil pointing down into the attic. We currently have blown in fiberglass insulation in our attic, but recently had a storm that ripped out 20+ feet of soffitt resulting in the insullation from those areas being blown about the attic area. We are pricing a retro installation of foam on the roof and wondering 1. will it completely eliminate the effectiveness of the silver foil and 2. will the net result be worth losing the effect of the foil, and be worth it after considering any net savings in the electric bill. Yes, if you add foam directly on top of the foil decking, then the foil will no longer act like a radiant barrier. If you eliminate the air gap the foil needs to work properly, then the foil becomes a conductor (meaning it allows heat to flow through it and into the area after the insulation). Essentially, it would work the same as if the foil was not even there. It depends on what is in your attic as to how you should approach introducing foam. If there is ductwork in the attic, foam the roof. If there is no ductwork up there, I’d foam the floor. I have a typical roof with OSB board as the roof deck and 2 x 6 rafters. I’ve installed radiant barrier foil on the underneath side of the rafters. Without disturbing the airgap of 6 inches, would it help to also spray foam on the underside of the existing radiant barrier foil as added insulation? Erik, not really unless you were going to totally convert the attic to a “sealed” attic. This means NO ventilation. Basically moving the thermal boundary to the roof line. I like foam closed attic on new homes (I have one) but on existing homes it can lead to a whole new set of challenges. In particular, the AC unit will probably be WAY oversized and you won’t be able to remove the latent heat (moisture) properly from the air. IF you are talking about just putting foam on the bottom of the foil without sealing up the attic, then this is the wrong place for more insulation. If outside air can come in the attic and below the foam then this is kinda like holding a jacket over your head. Why?? Finally foam does not stick real well to foil. Unless you can add some method for the foam to bite onto (mesh/framing) then the foam could easily separate from the foil over time. Ed, this question is for you. I’m from Manitoba, Canada. Summers are hot here and winters are cold with lots of snow. I did the exact same thing you did to your roof but left out one thing. The OSB that I used didn’t have a foil backing. I did the double roof system. The old roofing was removed completely. I then installed foil, then 2×4 strapping, then regular 5/8 OSB, then Ice&Water, then fibreglass shingles over top. I also installed great soffit vents and great roof peak vents. Will the single layer of foil be an issue? Will the snow on my roof melt a little above my shingle? Will the 1.5 inch are flow pull the heat out from the radiant barrier fully? I’m worried that I might have ice building up on my roof under the snow…!!!!!! Single layer is fine and since radiant barrier foil can help stop ice damming, you shouldn’t have issues with the roof warming up from the attic side. i clearly understand that it is not advisable to spray foam insulation on the radiant barrier OSB. we are building a metal house with purlins and putting osb on the purlins with a standing seam roof on the osb. i plan on spraying foam between the purlins onto the osb. is there even a small benefit of using radiant barrier osb or are there any really negative reasons why i shouldnt do this? I cannot see any benefit to using radiant barrier OSB compared to standard OSB. I had radiant barrier paint applied several years ago – probably about 7 years – am thinking of adding foam to the entire decking and attic walls.The radiant barrier from what I’ve heard does deteriorate with age.Is there a problem with doing that? Unless the paint is peeling off, I don’t see any issue with applying foam. I live in Colorado. Would the encapsulated attic / double-roof idea make sense in a Colorado climate? A friend thinks I could get about the same benefit with conventional sheeting since the space between the rafters would be filled with R50 foam in either case. As an aside, I used to live in Texas and used Attic Foil in my attic. The results were dramatic: it both reduced my air conditioning bills (about 30% less) and, more importantly, eliminated hot spots in various parts of the upstairs. I’m a believer in radiant barrier!